Sketch is a professional vector design tool for Mac that utilizes a fully vector-based workflow that focuses on UI, UX design for products and websites. In short, it simplifies the features of Adobe Photoshop and Illustrator and focuses them on practical design. With powerful features, an intuitive interface and an expansive plugin ecosystem, Sketch lets you create your best work — from your earliest ideas, through to final designs. 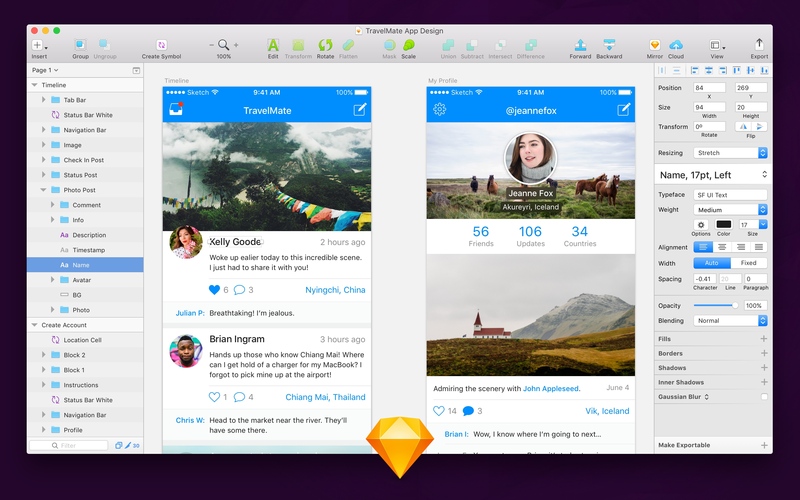 Sketch is all about time-saving and offers a lot of features that streamline UI/UX design and collaboration. Sketch makes clean, pixel perfect and responsive visual designs and has a bunch of great features that will make your life easier in design from the way text fields just change sizes to fill your design, editable symbols, shadows, rounded corners, and the vast library of powerful plugins.